A new version of FreeplaneGTD is released, with a structured archiving support and a more detailed template. 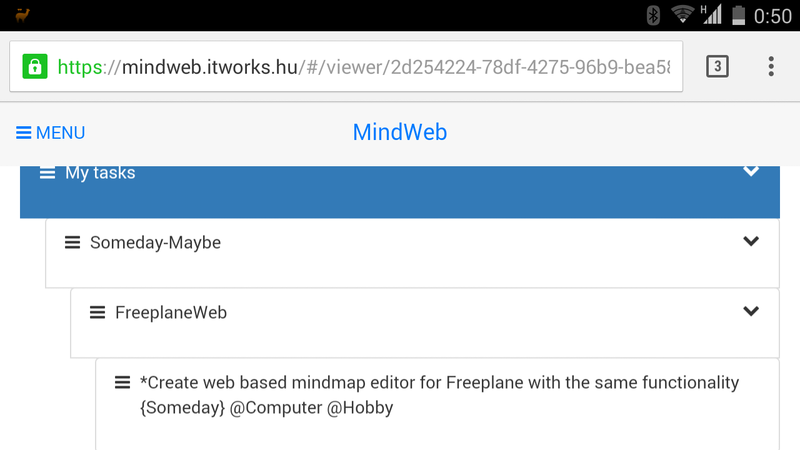 Today I created some advanced features for the Mindweb application. I mainly worked on the task management interface. Now the views can be changed using the sidebar. Beside the originally developed tree view, the task view with different groupings are available, the same way it’s available in FreeplaneGTD plugin.